IRC stands for the Internal Revenue Code, and IRC conformity refers to the degree to which state tax codes conform to this federal tax code. Most states conform in some respects, but they "decouple" from other federal provisions, leaving them out of their own tax codes. The most commonly omitted federal tax laws include those addressing bonus depreciation, expensing of depreciable business assets (IRC Section 179), and the domestic production activities deduction (IRC section 199). In theory, IRC conformity simplifies a state's implementation of its own tax policy -- and tax preparation for individuals -- by using federal taxable income as a base point. Modifications are made from there to adapt to state policies and revenue needs. Moving date conformity: Changes in federal tax law automatically apply to the state tax code as they occur. If the state does not want to conform to a new federal law, it must pass specific legislation to decouple from it. New York is an example of a “moving date” conformity state. Fixed date or static conformity: A state conforms to the federal tax code as it existed on a certain date. If a state's conformity date was January 1, 2016, the state does not automatically incorporate changes to federal tax law that occur after that date. California is an example of a “fixed date” conformity state. The degree to which a given state conforms to federal tax rules impacts state tax compliance for both businesses and individuals. 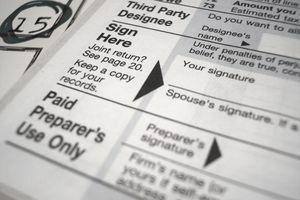 Whenever a new federal tax law goes into effect, it can affect your state tax return depending on whether your state conforms to that particular law. Your tax liability on both your federal return and your state return could be affected if your state conforms to the new law. Your state income tax return will likely include more calculations to reconcile the differences between your federal taxable income and your state taxable income if your state does not conform. Armed with this information, a taxpayer can seek professional help in preparing his return, or at the very least get up-to-date advice from a professional before attempting to prepare his own return. Most states provide similar updates. State and federal tax laws change frequently and the above information may not reflect the most recent changes. Please consult with a tax professional for the most up-to-date advice. The information contained in this article is not tax advice and is not a substitute for tax advice.